It’s that time of year again, the streets are getting busier and the Autumn air is cooling. While you are running around preparing food for the holiday feasts and shopping for gifts, it won’t be long before winter hits and the roads become icy. According to the Federal Highway Administration, every year more than 116,000 Americans are injured and over 1,300 are killed on snowy, slushy or icy pavement every winter. If you plan on driving in snow or on ice check out some of the car features to help prepare you to drive safely in the winter snow. Electronic Stability Control: ESC is considered one of the most important car safety features for winter and has been required on all passenger vehicles as of the 2012 model year. It works by computer controlled technology that applies individual brakes to bring the car back on track when the driver loses control. A study by the Highway Loss Data Institute found that for cars and SUVs, ESC reduced fatal single-vehicle crash risk by 49 percent and fatal multiple-vehicle crash risk by 20 percent. Anti-locking brakes: Anti-locking brakes differ from the traditional brakes. Instead of locking tires on wet and icy road which cause skidding, the anti-locking braking technology quickly pumps the brakes to keep your car in control. Heated side mirror/windshield: Heated side mirrors and windshields can clear themselves from fog, ice and prevent further snow buildup. Safety is always the most important thing to focus on when weather conditions are harsh but being comfortable is always a nice perk too. Listed below are features to help keep you nice and toasty without ever having to experience the painful numbing sensation in your fingers and toes again. Heated seats/steering wheel: Heated seats and steering wheel help protect you from a cold seat and a freezing steering wheel. The heated seats are a big benefit because they are warm before the car’s heat begins to flow. Remote start: The remote-start systems automatically turn on the heat, defrosters and seats without you having to scrape ice off in the cold. If your current vehicle is not suitable for winter driving or you are just not happy with your car try out another one with Swapalease.com. Swapalease.com has been helping people who want to switch up their ride for more than 15 years. 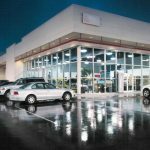 Headquartered in Cincinnati Ohio, Swapalease.com is an online marketplace that allows drivers to list their current lease and helps match them with buyers looking to take over the remainder of that lease. Both parties get what they’re looking for all with the convenience of online shopping. At the end of a successful working career the last thing you want to do is worry about your finances. Luckily, there are a few ways that you can cut down on costs. One of those ways is by leasing, rather than owning a car. Leasing a car in retirement is a great way seniors and retirees can save a few extra bucks. With a leased vehicle, you can drive a new car with all the features you are looking for without breaking the bank. After a lifetime of hard work, you deserve to drive the car you’ve always wanted. Leasing allows you to choose a car that fits your new lifestyle best, and if you decide to change directions in life, you can always switch up your car to match it. Another great perk of leasing a car is that there are no surprises when it comes to the cost. When you lease a car you know exactly what you will need to pay each month, which is perfect for those on a fixed income. If you know how much you will be driving, how much the monthly payment is and how much you will spend on gas, it will be easy to map-out how much your annual expenditures will be. It is important to stay financially stable throughout retirement and leasing a car is a great way to help you do it. 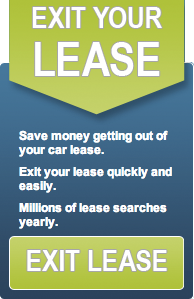 If you think it might be time to look into leasing a car, check out Swapalease.com. Swapalease.com. Headquartered in Cincinnati Ohio, Swapalease.com is an online marketplace that allows drivers to list their current lease and helps match them with buyers looking to take over the remainder of that lease. Both parties get what they’re looking for all with the convenience of online shopping. To some, cars are like a trusty companion, always getting us where we need to go. We trust our cars to keep us safe while out on the road. But what if your car turned on you and meant to cause you harm. There have been reports throughout history of cars that have transformed from chariots of safe haven to Hell on Earth. One car that stirred up all kinds of commotion in recent history is the 1964 Dodge 330 Limited Edition named the “Golden Eagle”. This vehicle is supposedly the most evil car in America according to Roadtrippers.com. The car, which was originally bought to be used at a police car in Maine, started its evil agenda within the local police force. During the time the car was used by the police, only three officers ever drove the squad car. All three officers were later involved in three individual murder-suicides in which they killed their families before then killing themselves. The car is reportedly involved in another 14 deaths according to the most recent owner. In 2010 a church group destroyed the car claiming that it had demonic powers. Another famously creepy car belonged to Archduke Franz Ferdinand during World War I. The open-air limo was transporting the Archduke to a hospital to visit loved ones when an assassin shot him and his wife in the head and throat. After the death of the Archduke, the limo had was owned by 15 other unfortunate souls. Thirteen of the people who had the displeasure of owning the vehicle died in car-related accidents. According to Auto Blog the car was officially retired in 1926. It now resides in the War History Museum of Vienna.